Last week, the San Francisco Planning Commission approved the Foster + Partners-designed Oceanwide Center slated for the Transbay district in South of Market (SOMA). The project will bring over 2.3 million square feet of mixed-use space to the area. The design features two towers of varying heights with large floor plates. The taller tower on First Street tops out at 850 feet and will include residences and offices. 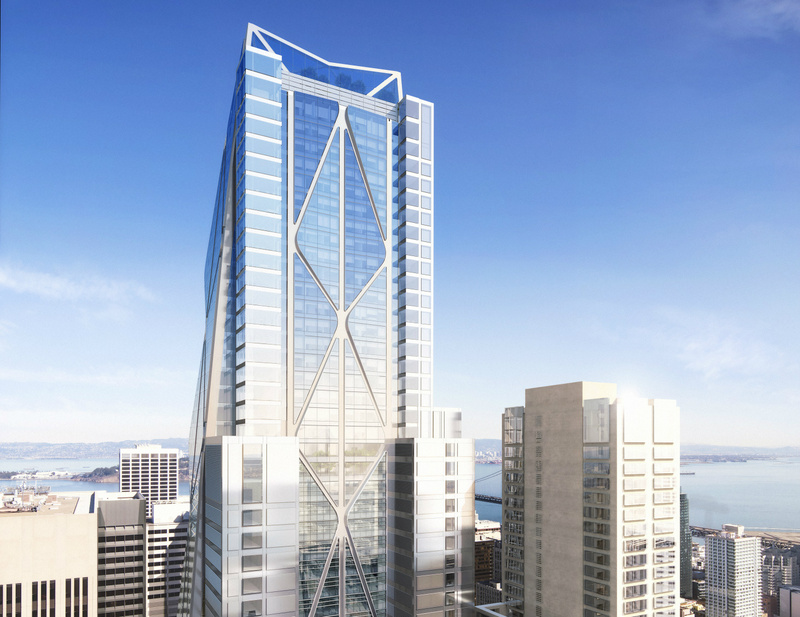 The 605-foot shorter tower on Mission Street will host residences with a hotel. 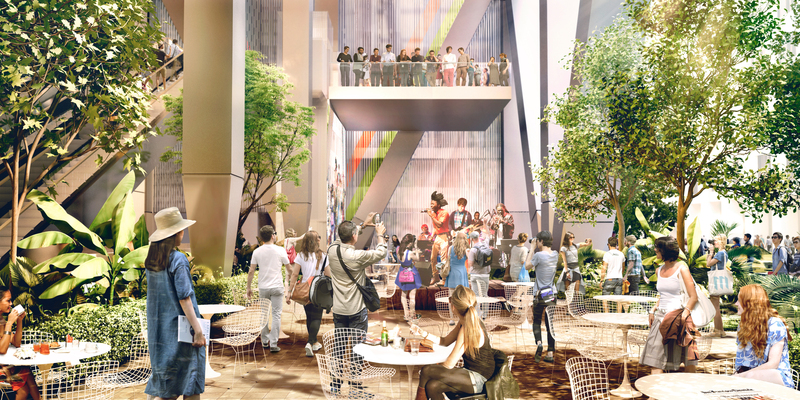 Renderings show landscaped street-level public spaces—22,000 square feet total—that connect the two towers. The development also includes restoring two historic buildings on the site. “At ground level, the buildings are open, accessible and transparent–and have been ‘lifted up’ by almost five stories to provide a new ‘urban room’ for the region,” describes Foster + Partners in a press release. “This space is crisscrossed by pedestrian routes that are an extension of the historic streets and alleyways in the area, knitting the new scheme with the urban grain of the city”. The San Francisco Planning Department’s Transit Center District Plan (approved in 2012) and the Transbay Redevelopment Plan are upzoning the Transbay neighborhood through higher-density development and higher height limits for residences, offices, hotels, retail, and more. City officials see the project supporting walkability and increasing public transit usage in the Transbay area. The Planning Commission recommendation for the Oceanwide Center states, “the Project will generate substantial revenues that will contribute to the development of transportation infrastructure, including the Transit Center and the Downtown Rail Extension, and other improvements envisioned by the Transit Center Plan.” Foster + Partners received the commission in 2014 from the original developers TMG Partners and Northwood Investors. In early 2015, the Chinese financial services company, Oceanwide Holdings Group, bought the site for $300 million. San Francisco-based firm Heller Mannus Architects is collaborating on the project, while Seattle firm Gustafson Guthrie Nichols is working on the landscapes. Groundbreaking is expected November 2016.